Creating a lasting culture and connecting with customers through a rich heritage of virtues and service. 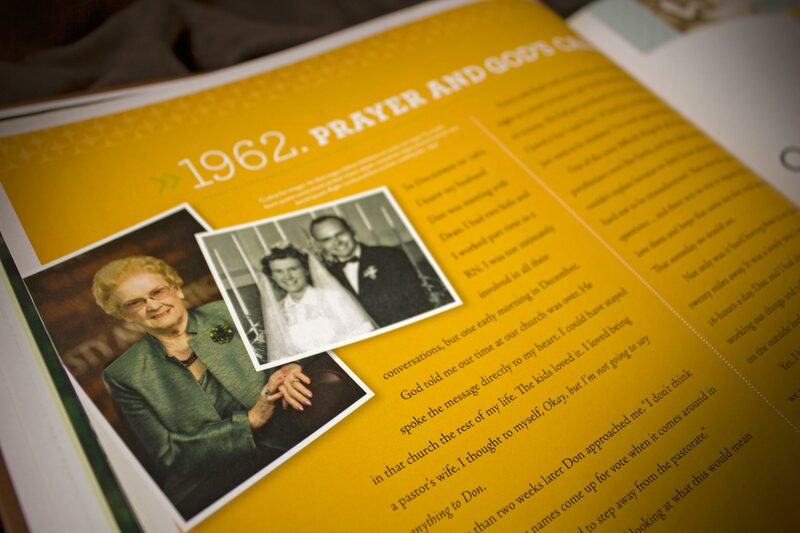 Of the many histories we’ve worked on, DaySpring Cards in Siloam Springs, Arkansas has perhaps the most authentically inspiring story. 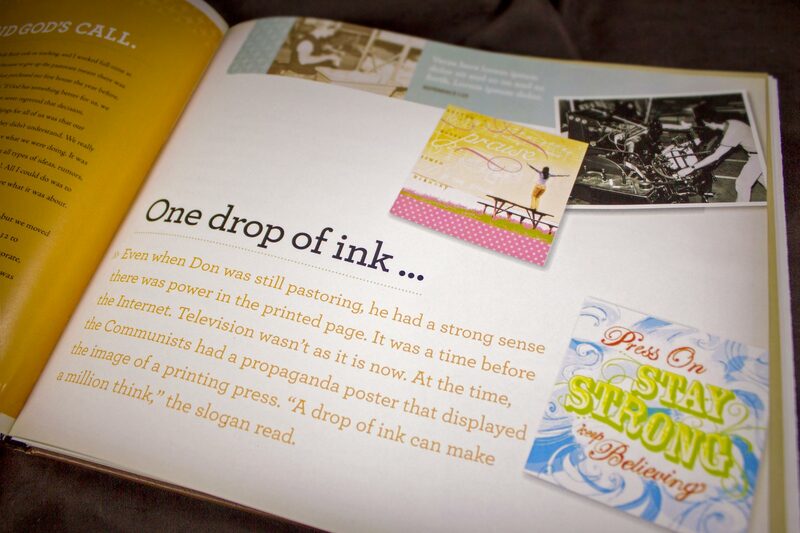 DaySpring was founded by four God-fearing men in a small commercial printing business in Covina, California, in 1971. 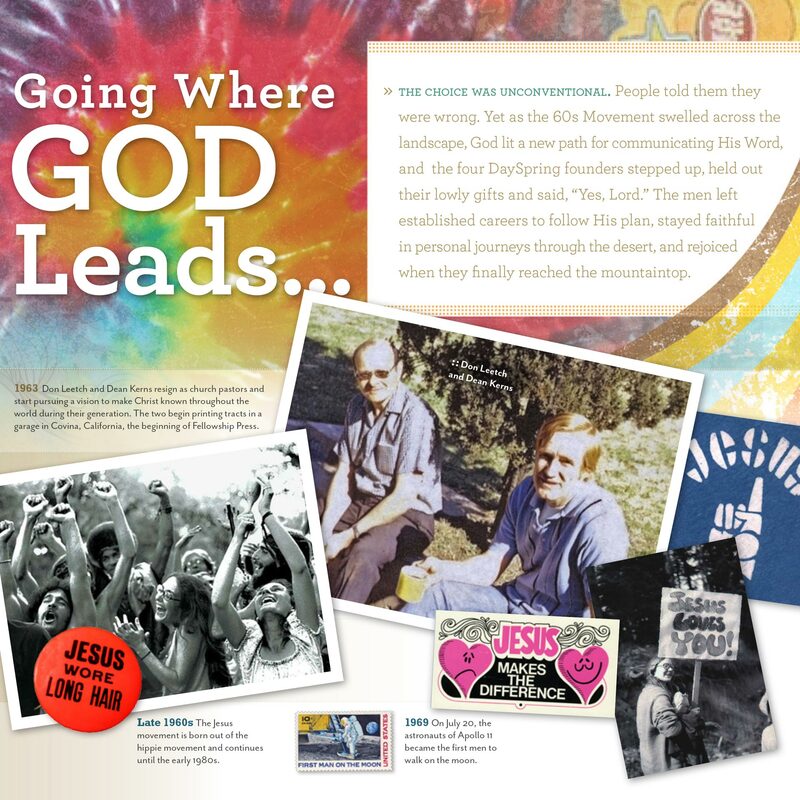 They started with a mission to make Christ known through leaflets used to share their faith. 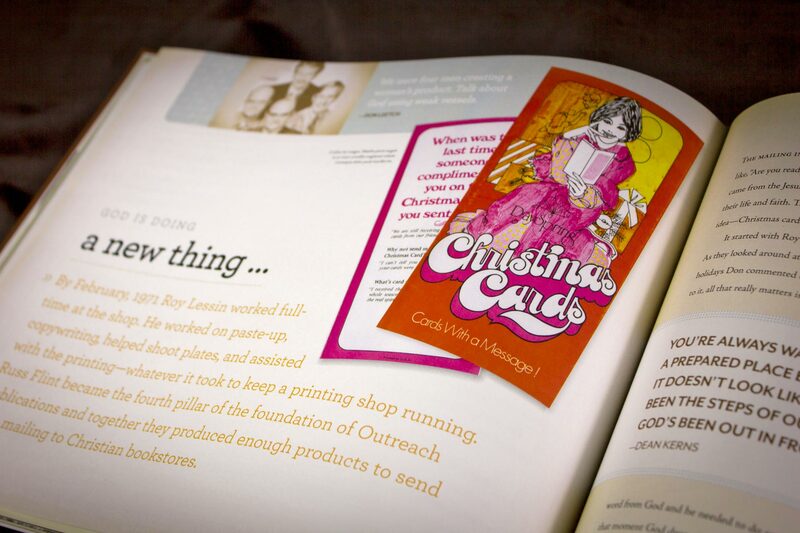 Today they are a division of Hallmark that produces Christian greeting cards and gifts that have helped millions around the world share the love of God. 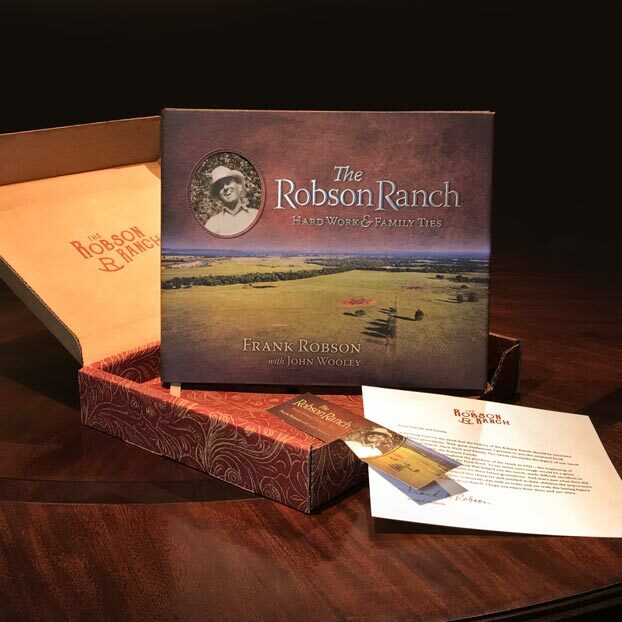 Storytelling for the corporate anniversary of a company built on faith required absolute authenticity and an understanding of both the company and their market. Telling the DaySpring story was about more than the people, product, or the business plan. It’s about their mission and purpose. Our editorial team of researchers and authors compiled archived articles, biographies, and previous history projects. To expand on existing content, we conducted oral history interviews with the founders and their families, current management, key employees and other stakeholders. 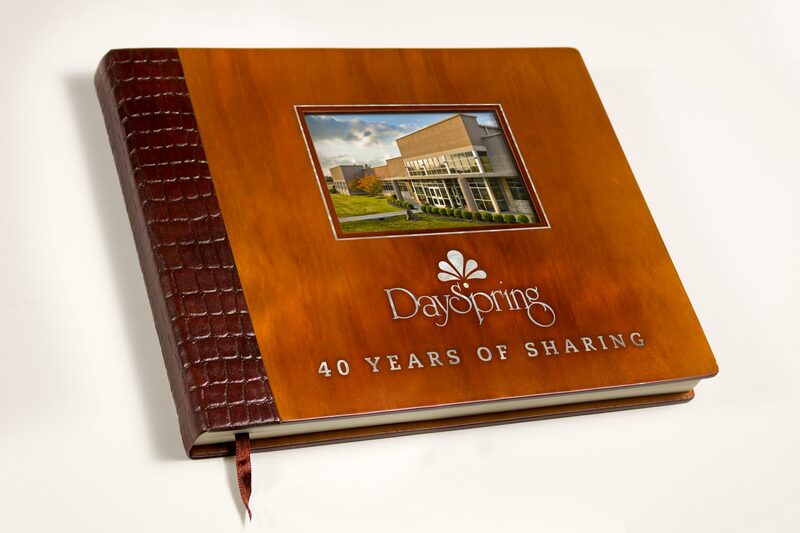 DaySpring’s collection of product, artwork, letters, and photography provided us with a rich archive of historical assets from which to draw. 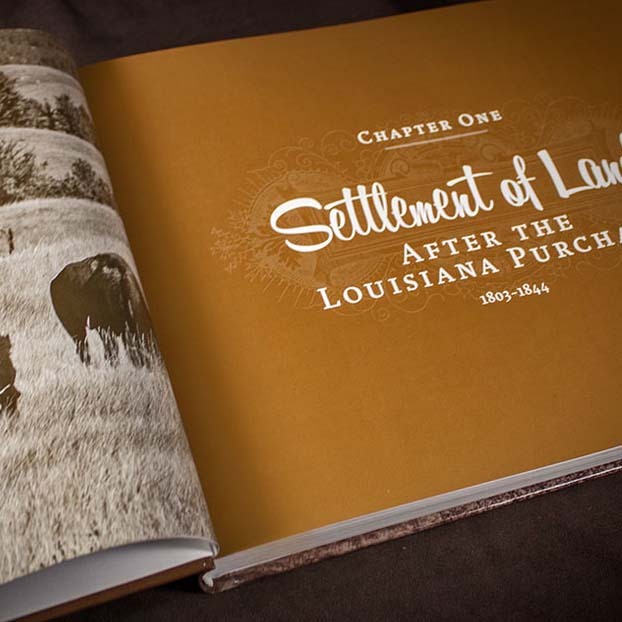 These assets were instrumental in our creation of a book which honored their heritage and served as a powerful internal tool that helps communicate and celebrate their culture. 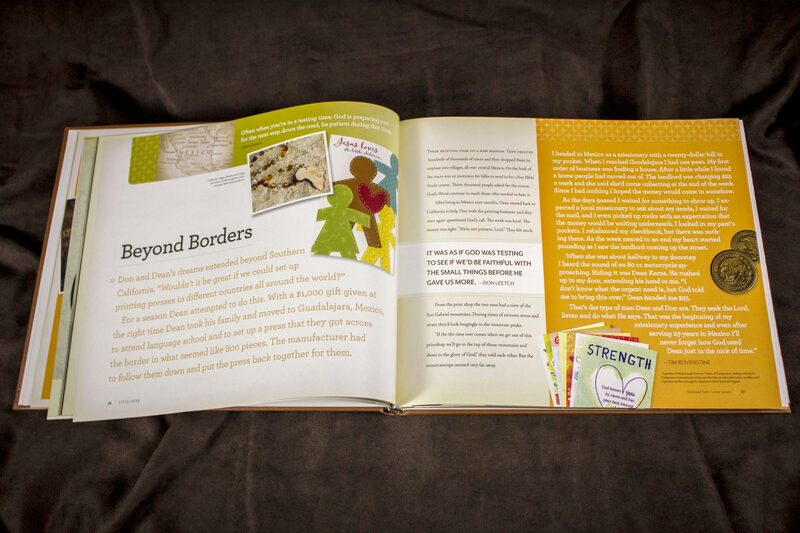 Because DaySpring is known for beautiful creative, our design work had to reflect the quality of their product. Translating the diverse visual language from four decades of cutting-edge pop culture design in a modern brand-compliant environment was a substantial challenge. 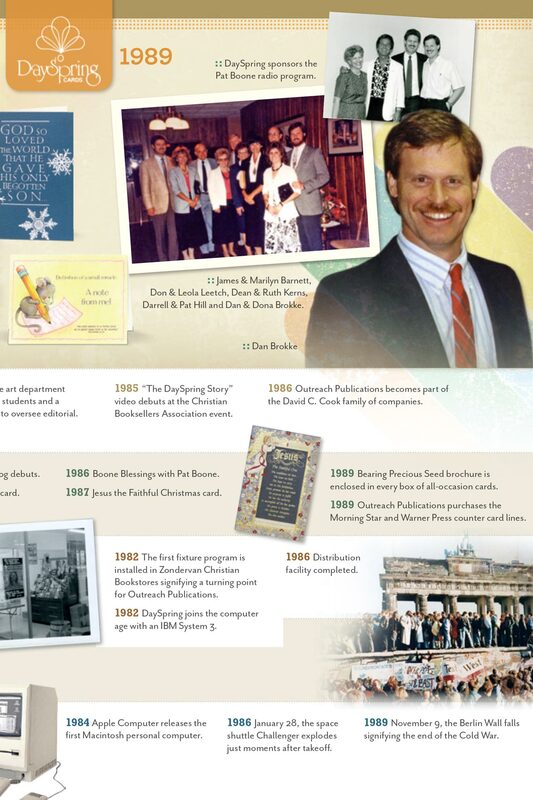 Our visual expression of DaySpring’s first 40 years played an important role in communicating the company’s continuing fidelity to the founder’s Christ-centered mission. One of the questions DaySpring’s current leadership grappled with was whether it made financial sense to invest in a 40th Anniversary project rather than waiting for more traditional 50th. Perhaps the greatest legacy of the 40th Anniversary project also stands as a confirmation of the wisdom in not waiting for the 50th. In the intervening years, the DaySpring family lost the two most prominent and passionate founding fathers—both of whose final interviews became a part of our project. Your corporate history is an irreplaceable tool for recruiting new talent, inspiring your current workforce, and creating a lasting company culture. I want to build a lasting company culture. 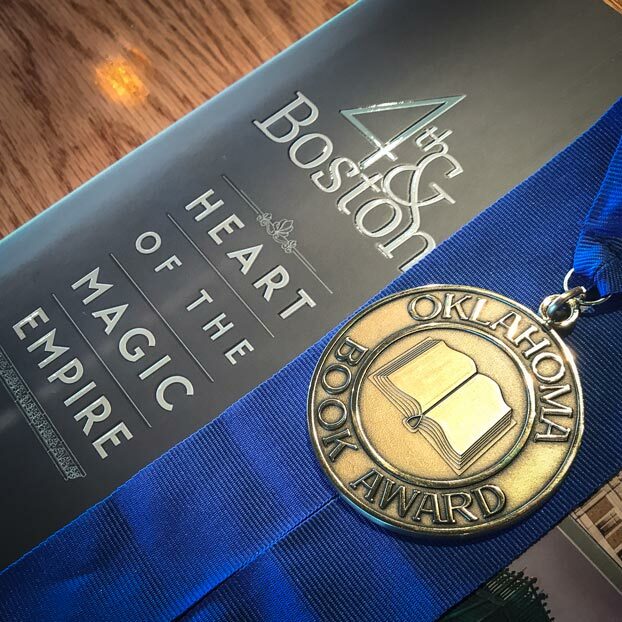 We work with businesses and organizations just like yours to create timeless chronicles of history and legacy that provide lasting value.